Organised by Stockholm Tech Fest x Me Convention, Tech Safari (SCROLL DOWN to 04 Sep to see the full list of events) is an open day on 04 Sep across various locations in Stockholm where you can pick and choose from a list of interesting events. 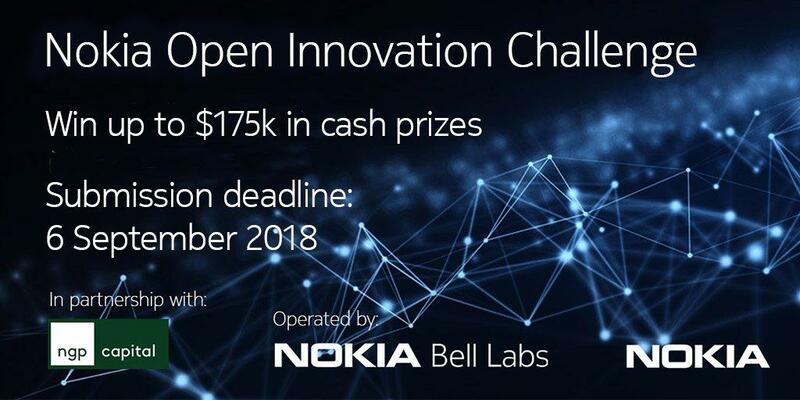 THINGS will be participating together with Ignite Sweden and startup SarvAI for a presentation and Q&A session to share knowledge on how to increase speed and rate of successful innovation by combining startup solutions with corporate challenges! 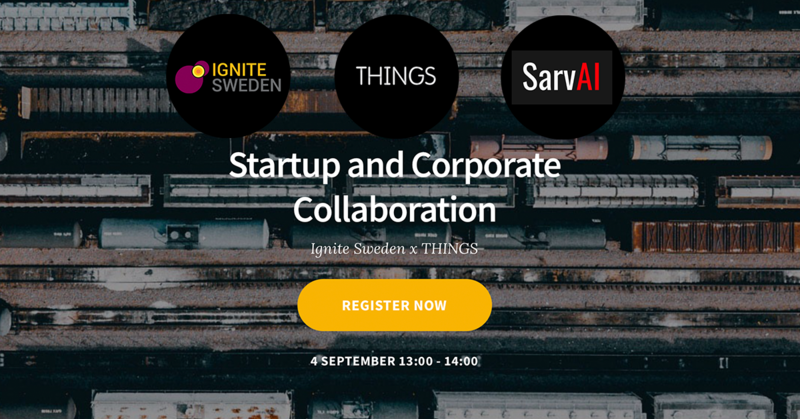 13.00: Ignite Sweden, THINGS and together with SarvAI: ‘Startup and Corporate collaboration’ from THINGS house: Drottning Kristinas väg 53 on KTH Campus. REGISTER HERE. THINGS partner Sting will be hosting a joint event as part for the Tech Safari with KTH Innovation: From university to unicorn at the same venue, here at THINGS, directly after at 14.30. REGISTER HERE. Machine learning algorithms use computational methods to learn information directly from data without relying on a predetermined equation as a model. Where are we at and where will it take us? 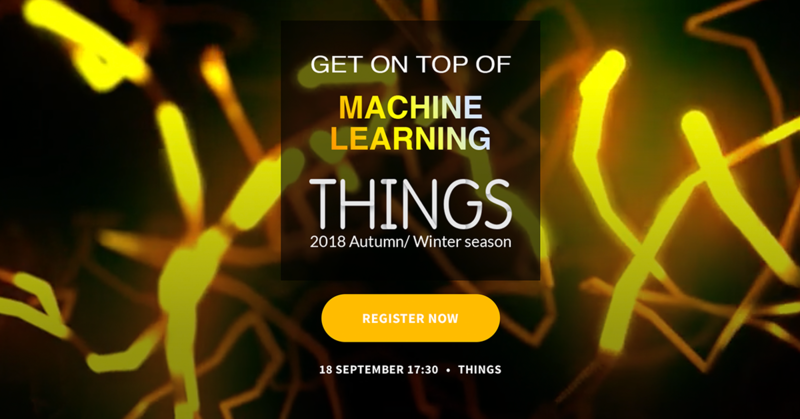 REGISTER NOW and join us for an knowledge sharing evening with inspirational speakers developing solutions at the cutting edge of this technology. Registration details to be released closer to the dates. Watch this space. Hot off the press! 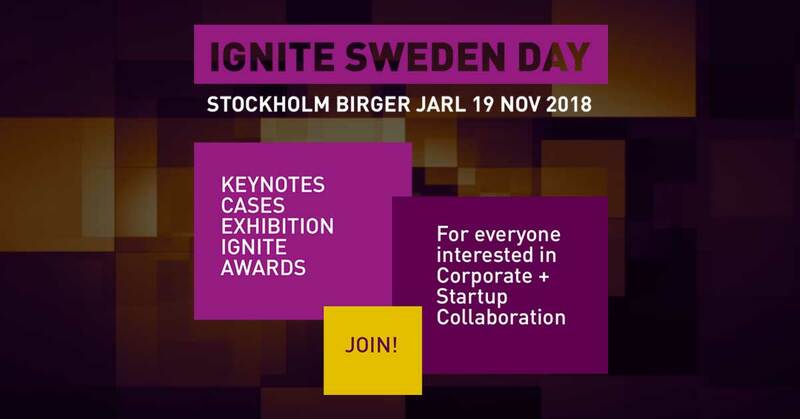 Ignite Sweden have just released registration details for the annual Ignite Sweden Day conference, which is supported by Vinnova. It will be a full day of unmissable keynotes, cases, exhibition and awards. Book now! Corporates interested in how to succeed with startup collaboration. B2B Startups that want to learn more about how to collaborate with corporates. Investors who want to meet the most interesting B2B startups in the Swedish Tech Scene at the moment. Incubators and Science Parks that want to learn about Ignite and corporate + startup collaboration. 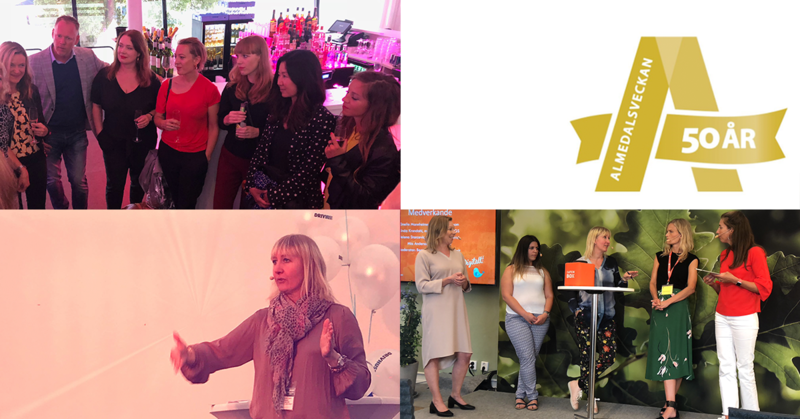 THINGS & Ignite in Almedalen! During the first week of July, politicians, private & public organisations met to discuss and promote their ideas of how to push society forward in their respective areas of interest. Linda Krondahl and Stina Lantz representing THINGS and Ignite Sweden was there to share knowledge on how to increase the speed and rate of successful innovation by combining startup solutions with corporate challenges. With our >1.000 meetings under the belt, we’re convinced we have a working setup to provide meaningful, spot-on matches providing real opportunities for cooperation. If you’re interested in joining our 55 corporates looking for new tech solutions, contact stina@thingstockholm.com. If you want to find your first real customer and have a B2B solution, register your startup here and we’ll try to find a match in upcoming events. We have a busy autumn season ahead, with lots of business opportunities to be grasped! Peopl. : Welcome to Peopl. 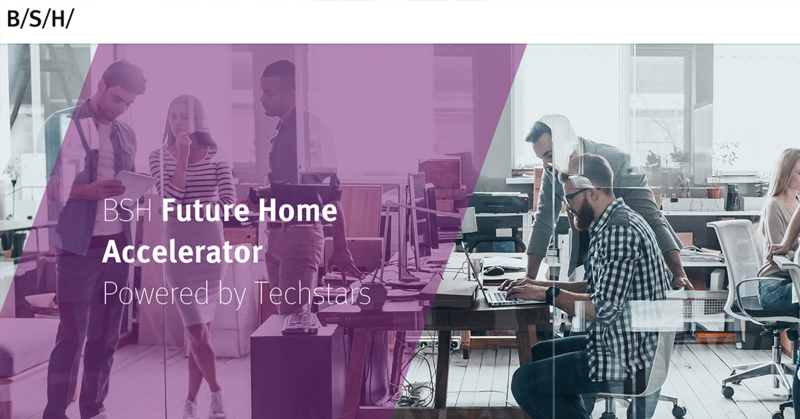 who joins the THINGS house in the co-working space! Check out their solution to evaluate and improve the work environment! Kusinta: Welcome also to Kusinta who joins THINGS as a new lounge member. Kusinta delivers a system for energy efficiency and temperature control in apartment buildings. IoT-devices in the form of thermostats and sensors are installed in the apartments to give the residents the ability to take control of their own heating and temperature. Racefox: Congratulations Racefox who is on WIRED's list of Europe's 100 hottest startups! Digital coaching is on the move! In collaboration with the Department of Industrial Economics and Management at KTH, THINGS gave a lecture on IOT as a main driver for future digital infrastructures to 45 international master students as part of the EIT Digital Summer School course: Internet of Things and business transformation. Drottning Kristinas Väg 53, 114 28, Stockholm, Sweden.